As much as we New Yorkers like to complain about the subway, the high cost of living, the traffic, crowds and general chaos, we also know we live in one of the greatest cities on Earth. From its buzzing energy and seemingly endless parade of unique experiences to the diverse people who have flocked here, New York City truly is the capital of the world. And it’s getting even better, with a flurry of exciting new openings across all five boroughs. In Brooklyn, Domino Park and the hotly anticipated Hoxton Hotel have both debuted. In Manhattan, Hudson Yards — an entire new neighborhood — continues to take shape on the westernmost edge of the city. Even our notoriously shopworn airports are getting exciting refreshes and updates. If you’re not a New Yorker, now is the time to come and visit. The city’s arguably at its loveliest in autumn, and even busy New Yorkers take time in September to pause and pay tribute to the City That Never Sleeps. 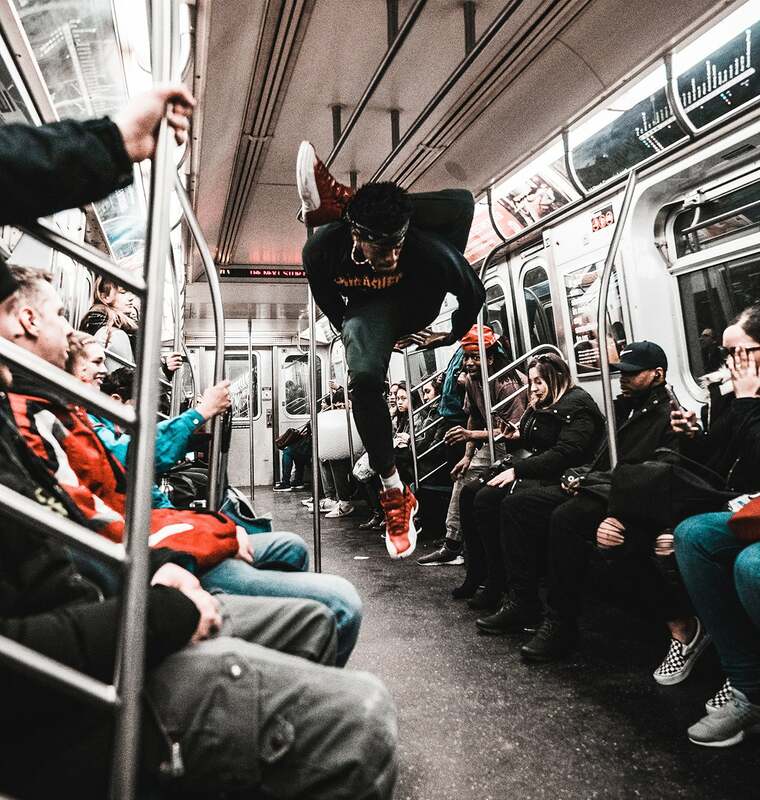 To help put into words the special something New York City possesses, we asked prominent New Yorkers from various walks of life to wax poetic about what they love most about calling the Big Apple home. 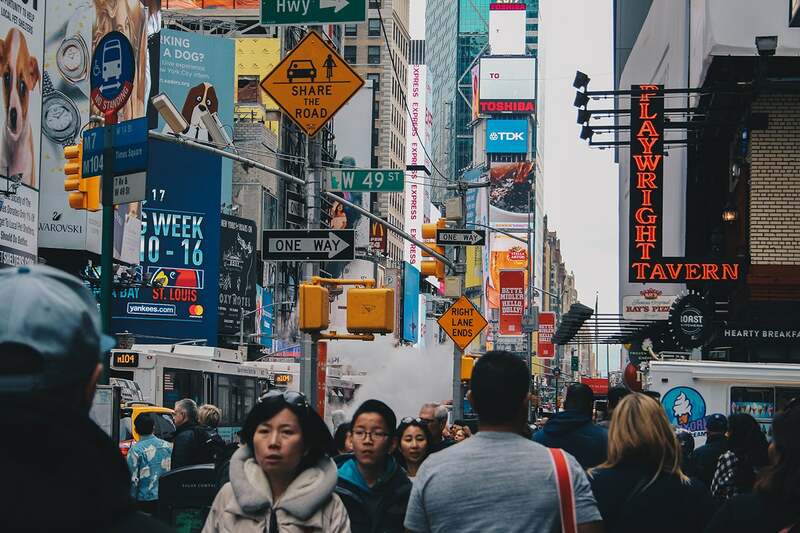 Alicia Keys famously crooned about New York City as the “concrete jungle where dreams are made of,” joining a long line of artists and entrepreneurs who see the city as a place where ordinary people can turn their fantasies into reality. 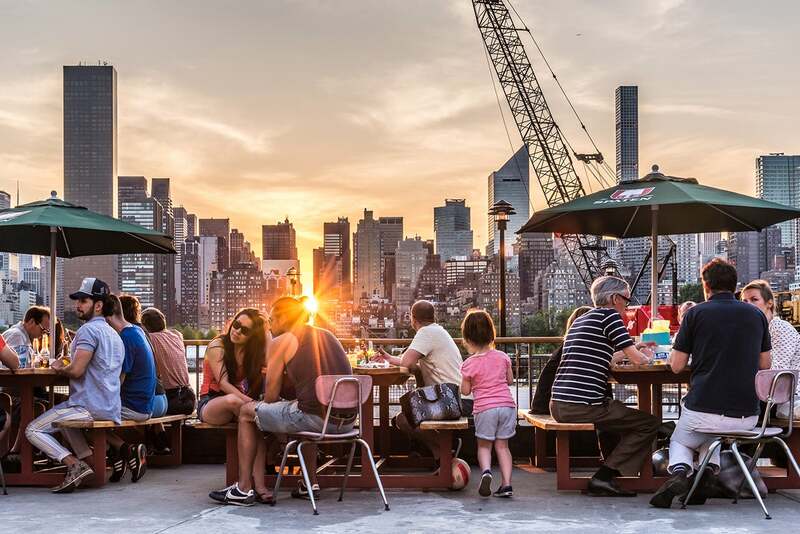 Peter Lawrence, co-owner of Williamsburg’s Wythe Hotel, said that New York received him warmly when he moved here from Australia in 1994, helping him become a success. And it’s that New York attitude that keeps him hopeful about America’s future. Speaking of which, ever since Ellis Island served as the gateway to America, this city has welcomed immigrants from around the world. Flannery Foster grew up in a military family and moved around a lot growing up before coming to New York City and founding Goodyoga, a yoga studio with locations in Greenpoint and Bushwick. Ari Heckman, founding partner and CEO of ASH NYC, raved about another, albeit unexpected, perk of the city’s swarming crowds and spectacular diversity. Photo by Chris Cooper via Unsplash. New Yorkers recognize that when it comes to great places to eat and drink, we’re spoiled for choice. 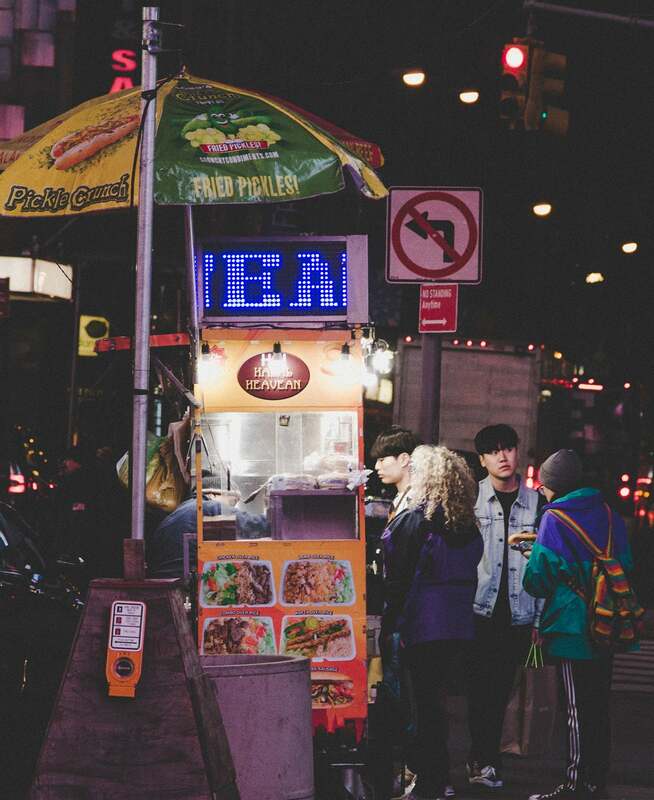 “What I love most about New York City is that it’s the only city on the planet where you can find great food from virtually any corner of the globe, all within [reach of] the city’s public transit system,” he said. Photo by @javan via Twenty20. There are hundreds of museums, theaters, music halls and other cultural institutions in New York City, from giants like the Metropolitan Museum of Art to indie black-box theaters and performance venues. Another thing he loves about New York City? Architect David Rockwell, founder and president of the Rockwell Group, has designed sets for Broadway plays and finds inspiration for his design work in the Theater District. As much as we like to complain about it, even the subway can be a source of inspiration. 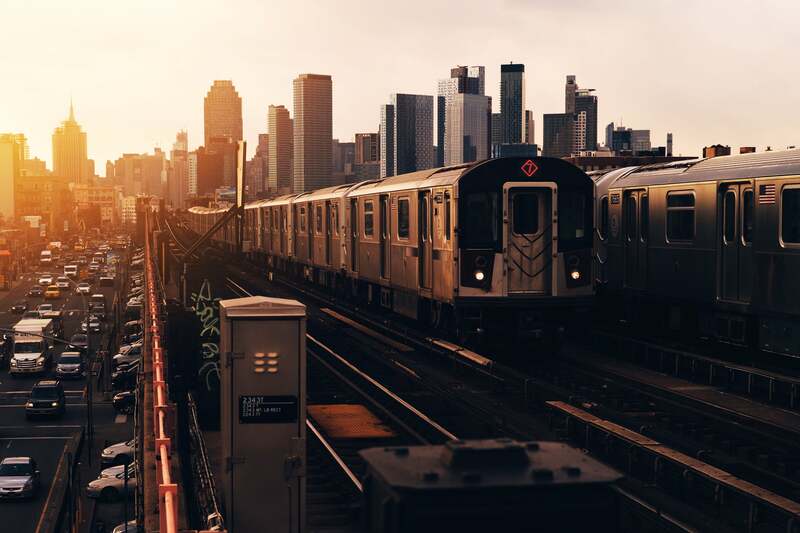 “I’ve been enamored with many romantic elements of New York in the 16 years I’ve lived here, but what I love the most after all that time is largely more elemental than romantic: the subways and trains,” said Oliver Haslegrave, founder of Home Studios. Julie Ryan, an artist who maintains a studio in the Brooklyn Navy Yard, described the strange but often endearing occurrences that happen on New York’s highways and in its subway stations. The Points Guy, Brian Kelly, said that he prefers the view from above rather than on the ground. “One of my favorite things about New York City is the amazing view you get when you take off in a seaplane from the East River. I love seeing the city in so many different lights, especially at sunset. Every takeoff and landing gives you a different perspective of the City That Never Sleeps,” he said. Intangible though it is, the energy that courses through New York is like the city’s lifeblood, constantly flowing through the streets. Though there are plenty of other cool places in the world, locals argue no other city has the same magnetic vibe. Restaurateur Will Guidara and chef Daniel Humm, partners at Make It Nice (Eleven Madison Park, the NoMad, Made Nice, EMP Summer House) enthused about this intangible aspect of the city. “There is an energy that exists in New York that I find infectious and truly unique to this city. I’ve noticed it from the first day I visited over 10 years ago, and it’s one of the things that enticed me to move here,” Humm said.